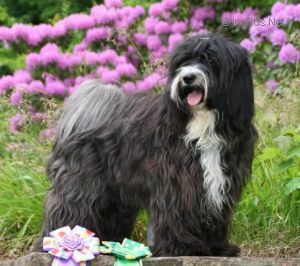 CHAM-BA CHUB OF NAMCO - World Pedigree DataBase Tibetan Terrier , Tibetan Terrier Pedigree DataBase. Titles: Junior Champion SK, German Junior Champion KTR,Junior Champion VDH, Austrian Junior Champion,,Dt. Ch. VDH,Dt.Ch.KTR, Dt. Ch.ILT,,Dt.Ch.CTA,Ungarischer Ch.,Österreichischer Ch.,Slov. Ch.,Int.Ch.